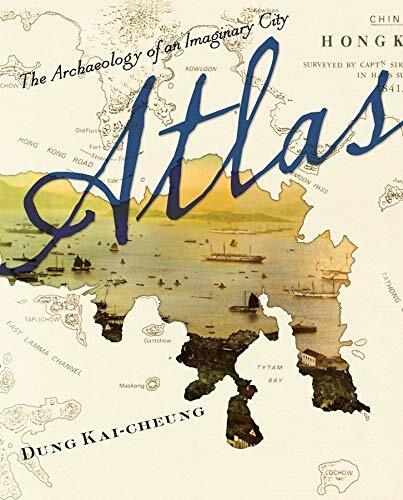 Atlas: The Archaeology of an Imaginary City , by Dung Kai-cheung, won the 2013 Science Fiction and Fantasy Translation Award in the long form category. Published in 1997, in a revised edition in 2011, and in English translation (by the author, Anders Hansson, and Bonnie S. McDougall) in 2012, the novel is both a guide to a fantastical Hong Kong and a meditation on mapmaking, cities, and history. Atlas makes reference to Borges and Calvino, and comparison with their works—especially Calvino's Invisible Cities —is inevitable. The short chapters and detached, scholarly tone recall Calvino's work, and Dung's project, like Calvino's, uses fantasy to create a space for the examination of global relationships. Atlas differs from Invisible Cities , however, in the way it concentrates on a particular imaginary city: Victoria, a "legendary city" born "from the waves of the sea" (p. 45). Victoria is not—or not exactly—Hong Kong. The narrator of Atlas , an erudite, companionable figure who may bear some resemblance to Dung Kai-cheung, makes this clear in the first part of his geography. He discusses a number of theoretical problems, including counterplace, commonplace, misplace, displace, supertopia, transtopia, and unitopia. Commonplaces are "places lumped together under one name" (p. 5); a transtopia is "a place with transit itself as its destination" (p. 33). The chapters in "Part One: Theory" make several arguments; among them is a warning against the equivalence of names on maps and places in the world. "[O]ne place can be replaced by another at any time," explains the narrator in the chapter on Displace, "and the place being taken over will never be the same as before even though its form and position may remain unchanged" (p. 10). Atlas was first published in 1997, the year of the official "return" of the British colony of Hong Kong to China, and the notion of Displace could easily be applied to this political reversal. The narrator cautions us not to arrive at this conclusion too quickly, however. (If there is a central thesis to Atlas , it may be a plea for caution: caution against a too-swift arrival, whether at the solution to a problem or at an airport.) The chapter on Displace, while using Hong Kong as an example, is not centered on the relationship of pre-1997 Hong Kong to post-1997 Hong Kong, but on the relationship of places to maps. "The sight of the Guangdong coast in the sixteenth century is forever beyond reach," the narrator explains, "but not the sight of the sixteenth-century 'Coastal Map of Guangdong'" (p. 10). The map functions here as a preservative, saving sixteenth-century Guangdong from oblivion, but the same move firmly separates the two. Sixteenth-century Guangdong and its map are two different things—and they are also antagonists. "[T]he nature of the map," the narrator informs us in the chapter on Supertopia, "is not to imitate and its ultimate goal not to become equivalent to the earth" (p. 27). Rather, "its inner drive is to master the earth, or to mold the earth, or even to substitute itself for the earth as the field of real human interactions" ( ibid ). The sinister effect of these lines is not accidental. The arguments of Part One open the way for the fragments contained in "Part Two: The City," which present the city of Victoria as a nonplace, or rather, a novel: one composed of the contradictions, misreadings, and erasures of colonial history. The name "Victoria" recalls the peak of the British Empire; the city of Victoria, says the narrator, is a mirage. The narrator reconstructs the history of the city from the maps made by a succession of travelers and colonial officers. Sir Henry Pottinger, the first governor of Victoria, "occasionally suffered from inverted vision" (p. 50): his map must be read upside down. A.T. Gordon, the city's first surveyor general, drew maps that superimposed Victoria Gaol on the city until "[t]he jail and the city were one and the same" (p. 54). In Part One, the short chapters on different ways of considering space create the effect of turning an object around in the hand, in order to view it from as many angles as possible; in Part Two, the effect is one of layering rather than rotation, as each imaginary map is laid on top of the previous one. Victoria becomes less real with every page. "Fiction is the essential character of Victoria and even of all cities, and city maps are by necessity novels expanding, altering, embellishing, and repudiating themselves" (p. 56). I'm reminded of Abigail Nussbaum's discussion, in a recent review, of how some novels don't need fantasy at all, and how fantasy, rather than playing a fundamental role in the narrative, is sometimes brought in merely to do the "heavy lifting" of a story that can't get off the ground on its own. Atlas provides an example of the opposite case: a novel that couldn't exist without fantasy, without imaginary maps, fictional scholarship, and bizarre biographies. The implication, of course, is: neither could Hong Kong. This focus on translation allows the readers of this translated novel to glimpse traces of Dung Kai-cheung's original prose, which he describes in an interview as "a Chinese language embedded with Cantonese and English". The Hong Kong of Atlas is a place of rival maps and unstable language. There is joy and humor here—as in the story of water spinach and watercress—but there is also violence. Spring Garden, for example, is described as both the home of an Englishman named Charles Parker, who lived in harmony with his Chinese wife, and the haunt of a "British sailor named Charles" who "raped and then strangled a Chinese prostitute" (p. 87). In the city composed of these conflicting narratives, who is the real Charles? Which is the real story? Where is the real Spring Garden? Also, how do you read? The first three parts of Atlas zoom in, drawing closer and closer to their object. Abstract theory gives way to the history of an imaginary city, which gives way in turn to the streets of a fictionalized Hong Kong. "Part Four: Signs" zooms out again, focusing on ways of reading. The chapters bear titles like "The Metonymic Spectrum" and "The Travel of Numbers," and discuss methods of reading maps, playing with the English word "legend." A legend is a story, often a fantastical story, and it is also the key to a map. "Therefore," explains the narrator, "a legend is a place where images and writing converge and interact, a glossary of two languages" (p. 124). Atlas: The Archaeology of an Imaginary City is a glossary of many languages—of the languages in which it was written, the language of translation, the clashing and melding languages of colonizer and colonized, the languages of memoirist and scholar, the languages of the fantastic. The achievement of Dung Kai-cheung and his co-translators in winning the Science Fiction and Fantasy Translation Award gives Atlas a chance to reach new readers, readers accustomed to the generic conventions of commercial English-language fantasy and science fiction. Atlas —described in Bonnie S. MacDougall's introduction as "a novel without a plot" (p. xvii)—requires its readers to let go of those conventions. It's worth it. Both legend (story) and legend (key), Atlas works as a guide to conduct the reader through its own archive of testimony, speculation, and pleasure. Sofia Samatar is the author of the novel A Stranger in Olondria (Small Beer Press, 2013). Her poetry, short fiction, and reviews have appeared in a number of places, including Clarkesworld Magazine , Weird Fiction Review , Stone Telling , and Goblin Fruit . She is the nonfiction and poetry editor for Interfictions: A Journal of Interstitial Arts . She blogs at sofiasamatar.blogspot.com.